MERRY CHRISTMAS! Put Your Love For Kids and Community into Action! When you give to The Baby Fold, you help us provide hope through the struggles and storms that swirl in the lives of our little ones. Reaching over 1200 children and families a year, your partnership is vital to our programs. Thank you for putting your love for children into action through a gift that will soon become an investment in the life of a child. Click here to change the life of a child. 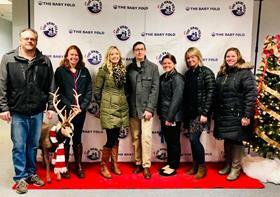 Contact Lori Bultemeier at (309) 557-1075 or at lbultemeier@thebabyfold.org to schedule your tour today! Thanks to you - Nearly 600 children's Christmas Wish Lists were filled by our generous community. Many of our children would not otherwise receive surprises under the tree if it weren't for the generosity of friends. Thank you for helping to make Christmas morning special for The Baby Fold children! 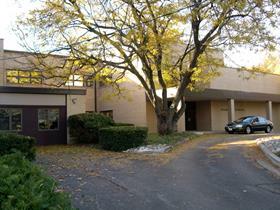 To learn more about our needs throughout the year, please visit HERE. 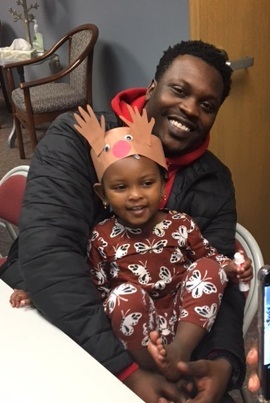 Our Healthy Start families recently gathered for a Christmas party. 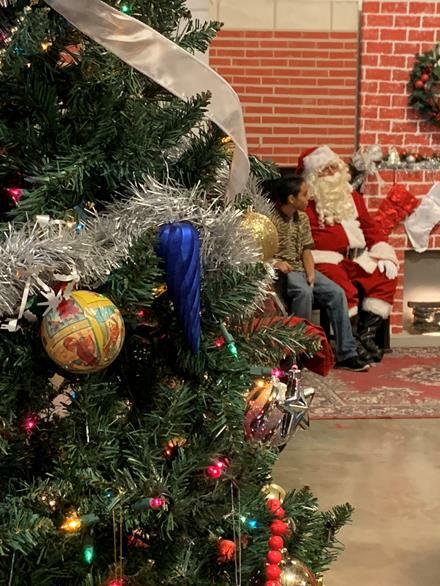 The children enjoyed meeting Santa and spending time making crafts and playing games. Fun was had by all! A cherished tradition at The Baby Fold's Festival of Trees is the Adoption Celebration. Each year, families who have made the adoption journey are invited to gather and share their experiences - the hope, struggles, and incredible joy of creating a new family through adoption. Long gone are the days when people came to The Baby Fold's nursery on Sunday afternoon to see the babies. 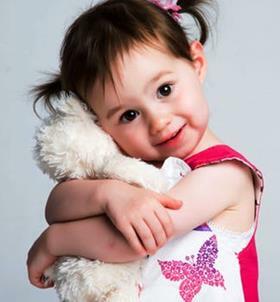 Today, the adoption plan begins with a desire to love a child through our fostering programs. Very often, foster parent's love for a child motivates them to provide a forever home for a child through adoption, transforming the lives of the entire family. That love is worth celebrating throughout the year! 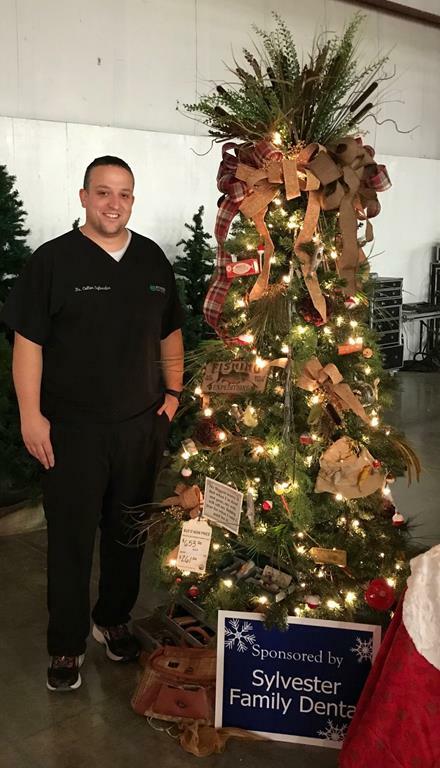 We recently had the pleasure of visiting with local dentist and Festival of Trees sponsor, Dr. Colton Sylvester. 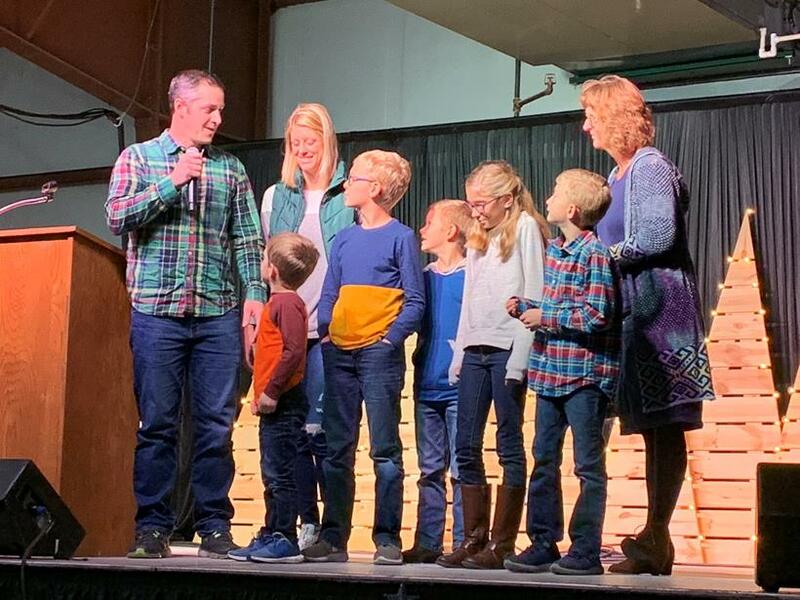 Speaking of the Festival, Dr. Sylvester said, “If my mom were here at the Festival of Trees, she’d buy the whole thing!” Dr. Colton Sylvester’s eyes brimmed with tears as he recalled how much his mother loved Christmas. Colton shared that he sees how the value of caring for others has been passed down in his family. This very spirit of generosity and compassion can be seen in his practice as the Sylvester Family Dental staff sews sock monkeys by hand to be given to The Baby Fold's foster children as they transition to adoptive homes, and they fill Christmas wish lists for children who may not otherwise receive gifts. As a dentist, Dr. Colton understands the importance of prevention, early intervention, and regular treatment to have good health. “No one wants to wait until they’re in pain to get help.” Perhaps this is why the Sylvester family appreciates the work of The Baby Fold. 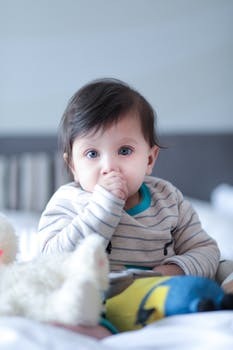 Our early intervention work with young mothers, our special education programs and family support services offer children and families healthier relationships and stable futures. Dr. Sylvester shares “We love the variety of services that The Baby Fold provides. We believe they are making a big difference in the lives of kids and we want to support them in their work to build a foundation around a child so they can succeed." Thank you Dr. Sylvester, family, and employees for sharing in our mission! 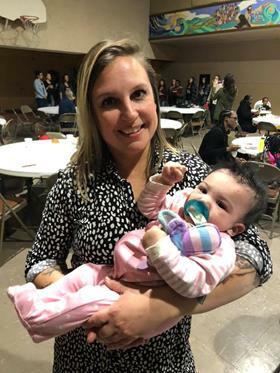 The Baby Fold is blessed to have community partners who are invested in making the lives of children and families whole and healthy. One recent collaborative effort was for a Baby Fold student named James. With several challenges including cerebral palsy, James' physical therapist and home interventionist determined he would benefit from a therapeutic tricycle to strengthen his gross motor and balance skills. 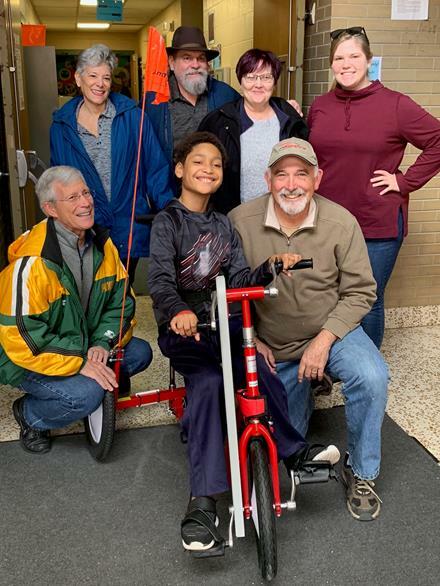 With a mission to inspire mobility and independence for all, local AMBUCS members stepped in to secure a custom fit "Amtryke" for James.The smile on his face lets everyone know that physical therapy just might be his new favorite activity! What a great way to put love into action for the benefit of children! Hammitt students used their creative talents to decorate the the children's area at our Festival of Trees event. Digging through box after box of ornaments and garlands, the children used their imaginations to adorn the Christmas trees with holiday decor. Many trees looked very traditional; some were very unique. One was completely covered in angels while another was wrapped so tightly with ribbon, the tree itself was barely visible. Together, we saw a forest of individuality, not at all unlike the children of The Baby Fold. What a beautiful backdrop for an exciting and fun area of our Festival of Trees event. And...we hear Santa was particularly impressed as well! 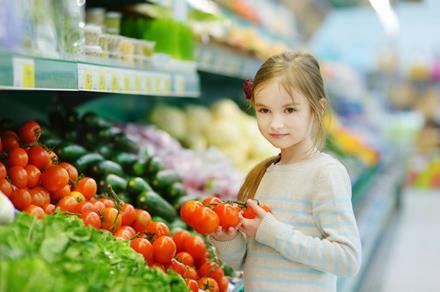 Teaching children the importance of making healthy food choices can be challenging. Baby Fold teacher Billy Martinez leads a group of teachers who guides students through good nutrition decisions. Through hands-on experiences like menu planning, shopping, and cooking together, the class loves to create and enjoy the fruits and vegetables of their labor! Collaborating with Green Top Grocery in Bloomington, students shop for fresh, local produce donated by Christa Kramer, store manager. Green Top also shares their in-store cooking space where Mr. Martinez has a great way to help a fussy children try new foods - it's the "no thank you bite". Knowing only one bite is asked of our students, a tantrum is much less likely to occur over trying new tastes. He states, “Kids will try new foods when they have some control and when they are involved in the cooking process. It’s really fun to watch one child encourage another to ‘just try it’ and see little palates expand.” Here's to a healthy new year! As we reflect on the miraculous birth of Jesus, may we be mindful of the many blessings that have come to us through Him. That helpless baby, who came to save the world, inspires each of us to show one another the sacrificial love that brings hope to the world. 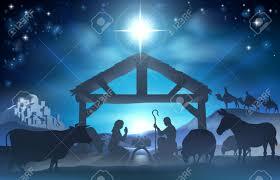 As His hands and feet on earth, working together with our friends and partners, we can bless our precious children. Thank you to all our supporters who have poured so much love into our children and families throughout 2018. Your faith in action changes lives, during the holidays and every day.